Releasing a jammed chainsaw by cycling the ignition trigger could make it fail, smoke or catch fire. 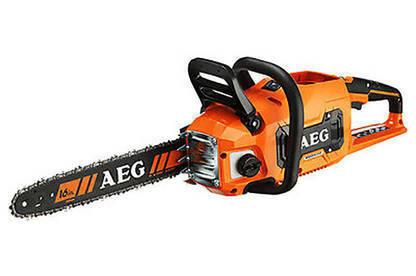 Affected AEG 58V chainsaws are battery operated and have the model number ACS58B. They were sold at Bunnings between 23 May 2016 - 13 October 2016.
contact Techtronic Industries Customer Service to register for a replacement chainsaw with a free AEG 58V 4.0 battery, once available. For more information, contact Techtronic Industries on 0800 028 491 or email customerservice@ttibrands.com.au.